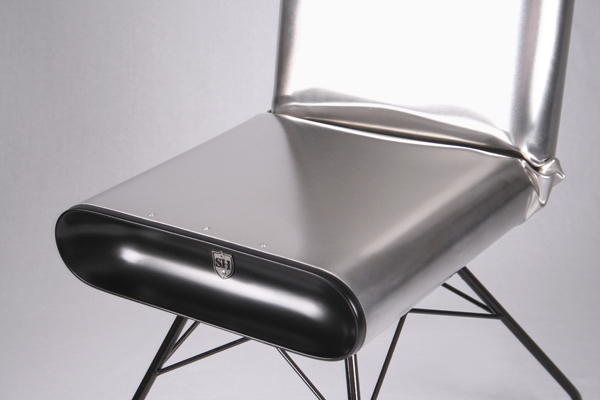 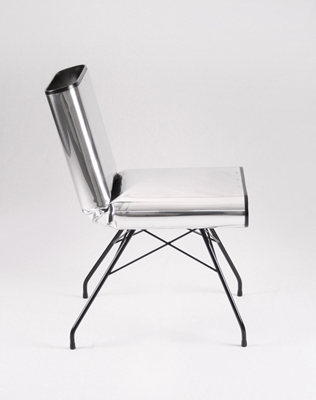 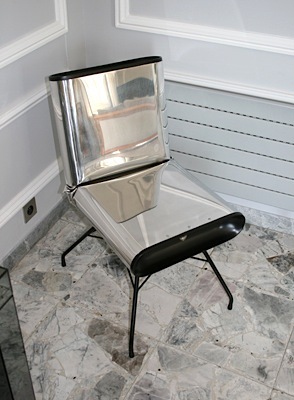 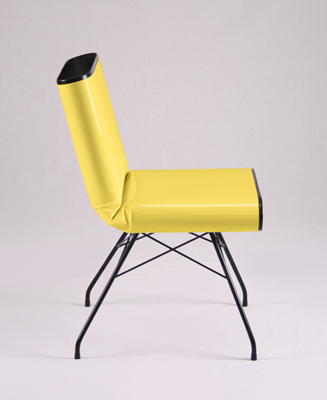 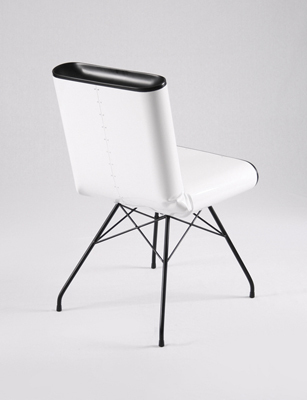 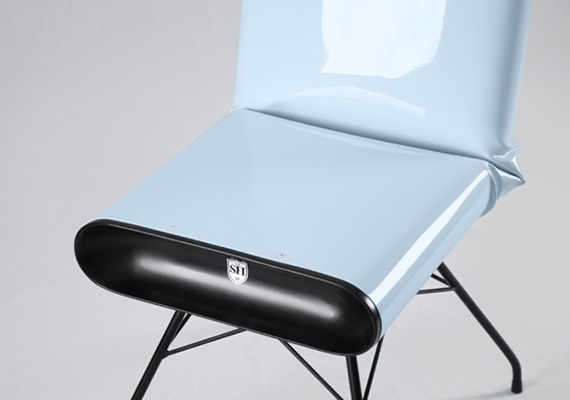 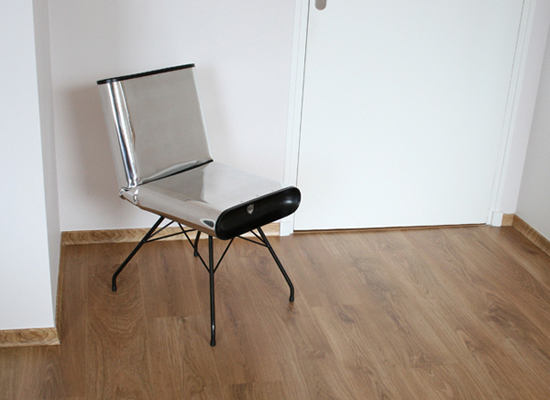 This chair is the result of a manufacturing process developed by Shiny Hammer called C.I.M. 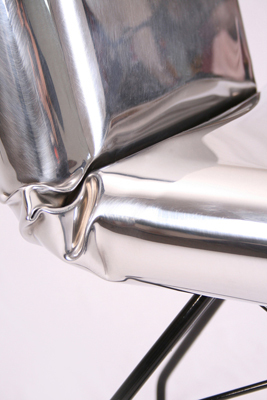 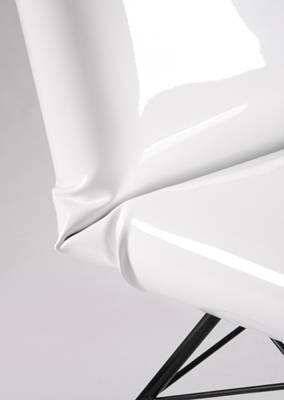 which is aimed at using a bending process which is rough yet sophisticated. 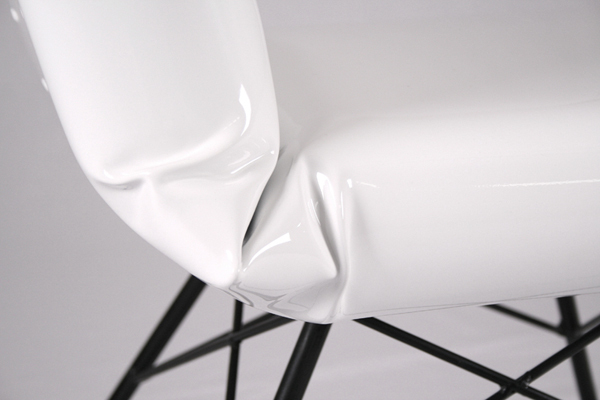 The end result is unpredictable, although controlled. 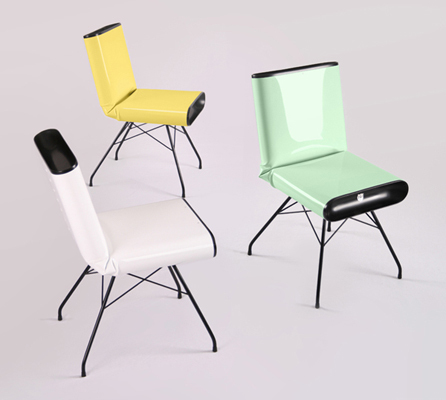 As a result, each chair is unique.